Savor the irony, folks. It just doesn’t get much better than this – except that with all the media figures accustomed to pontificating on air now exposed as harassers themselves, and with all those video recordings archived in the vaults of broadcasters and YouTube, there surely will be more gems like the short video embedded below coming along. 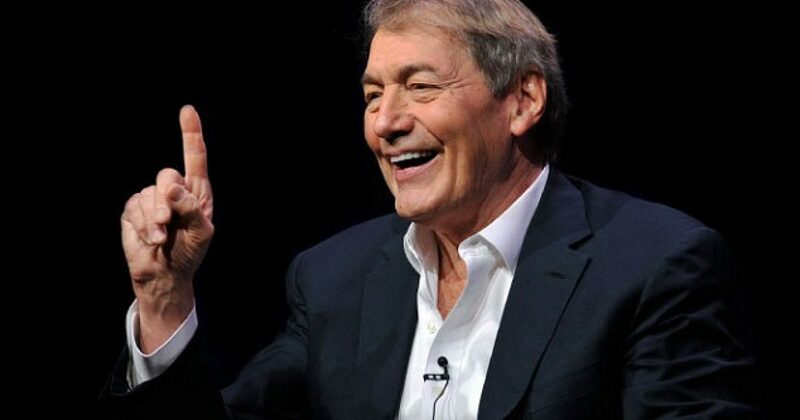 Charlie Rose, after all, has been in the business of condescending to us for decades. Virtue-signaling has never been more dangerous than when applied to the sexual behavior of others. Add in the magic of videotape, and you have what must be called SchadenfreudeFest 2017. Thomas was writing about the interview by Charlie Rose of Kevin Spacey about Bill Clinton. This represents the Trifecta and the real “Axis of Evil”: the media, Hollywood, and politics. Before I get to the interview, I will tell you of an encounter with Spacey and a secret service agent to Bill Clinton. The agent is a friend of mine, and he said that Spacey wanted to see Bill Clinton at an event. Spacey attempted to blow by the agent, who stopped Spacey, informing him that he would know when to allow him to pass. Spacey was noticeably irritated, and said to the agent rudely, “I’m a friend of the president’s.” and warned that he could just go in if he wanted. Spacey got the message, but the agent noted how entitled Spacey appeared to be. Rose asks Spacey if he and Bill Clinton had a “bromance”. Spacey seems taken aback, almost as if he didn’t understand the terminology. Then Rose explains it further. Rose: How would you describe it? Spacey: Friendship. Uh, good friendship. Spacey: I hope you weren’t implying anything else. It seems Spacey wasn’t quite a ready to expose his LGBTQ lifestyle. Interesting, given the now Spacey admits to being gay. Spacey said that he never doubted Clinton and was always there for him. “Took him as he was?” Rose interjected. Rose asked Spacey if he was also good friends with Hillary Clinton. Spacey also supported Barack Obama. In a feature with GQ magazine in 2015, Spacey praised former President Barack Obama. “Have you googled ‘Obama’ and ‘achievement’? You can’t just look at one side of the story. He did say he wished Washington was as ruthlessly pragmatic as on “House Of Cards.” It must be enormously frustrating for Obama” Spacey said. As I contemplate Spacey’s future, I recall what he said about Obama. Spacey opined that Obama will “go down as having passed some of the most historic bills in the history of this country” and that people do not realize the great things Obama has done. Let’s see how these two are remembered, now that the truth has been revealed.